If what you are looking for are the advantages of a 29-inch wheeler but you don’t want to burn your pockets, then the SE Bikes Big Mountain Twenty-Four Speed D Hard Tail Mountain Bicycle is the perfect choice for you. This power packed mountain bike comes in black or brown color for a premium feel. with a value package with 24 speeds from Shimano. A solid, semi-integrated Main frame constructed from a SE 1 Double Butted alloy. Suspension Fork HL 595SAMS 29 with100mm travel offering superb shock absorbing properties. The powerful EF-40 EZ-Fire, 24-speed shimano shifters. The SE Bikes Big Mountain Twenty-Four Speed D Hard Tail Mountain Bicycle is a starter level Mountain bike SE is known for their resilient BMX racing bikes, and have extended their line to other models, they sure have not disappointed. The packaging of the bike is top notch and ships mostly unassembled; tires, front brake, handlebars, cables, seat, derailleur, pedals, and disc brakes assemblies and reflectors needed to be fastened with bolts on. The instructions that came packaged with it were for the fork and handlebars only. It’s going to take almost three hours to assembly. The aluminium frame, paint job and welding is of a higher quality and can compare easily with some known brand names. The SE is really determined to make product quality and they did not fail. 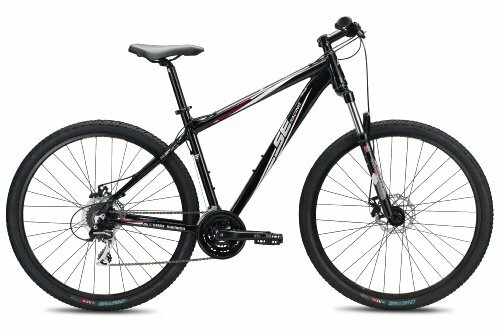 For the price, the SE Bikes Big Mountain 24 Speed D Hard Tail Mountain Bicycle delivers excellence in the quality. This is definitely a recommended buy for bikers looking for quality and peace of mind.